Philippine Savings Bank (PSBank), the thrift bank arm of the Metrobank Group, won two Silver Anvil Awards at the recently concluded 52nd Anvil Awards at the Makati Shangri-La Hotel. 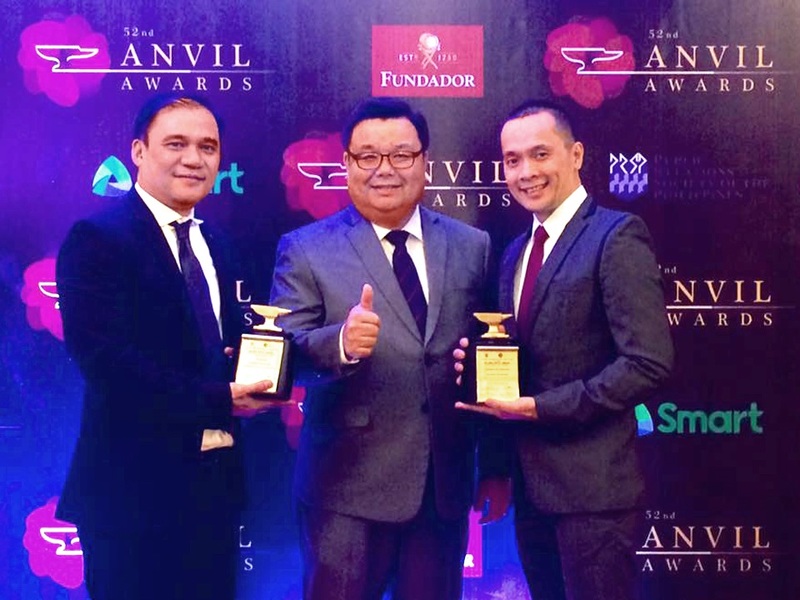 In the photo (L-R): PSBank SVP Emmanuel A. Tuazon, EVP Jose Vicente L. Alde, and VP Dan D. Duplito received two Silver Anvil Awards for PSBank during the 52nd Anvil Awards last March 10 at the Makati Shangri-La for its 2015 Annual Report: Engaging Our Customers and its information security awareness campaign Be Aware!. The first Silver Anvil Award received by the Bank was for its 2015 Annual Report titled Engaging Our Customers, which showcased PSBank’s customer-centric culture—how it has delivered a positive customer experience by being highly responsive and making banking an effortless experience for its clients. The second Silver Anvil Award was in recognition of PSBank’s information security awareness campaign dubbed as Be Aware! under the Public Relations Programs-On a Sustained Basis (Consumer Welfare) category. The Be Aware! campaign, launched last year, aims to provide clients with the necessary information that will protect their hard-earned savings against scams. It is also in support of the Bangko Sentral ng Pilipinas’ push for Financial Consumer Protection. The annual Anvil Awards organized by the Public Relations Society of the Philippines recognizes the best programs and tools that meet the highest PR standards. It is the most coveted prize in the Public Relations industry as its entries are rigorously screened by seasoned PR practitioners in the country.